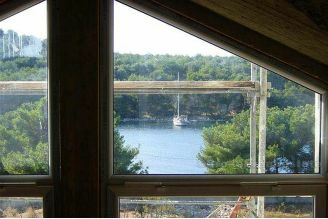 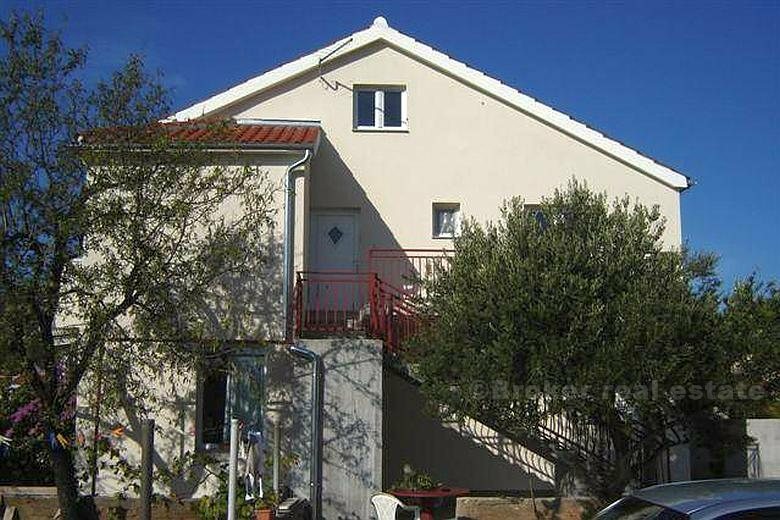 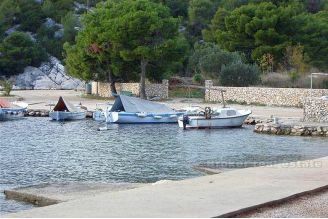 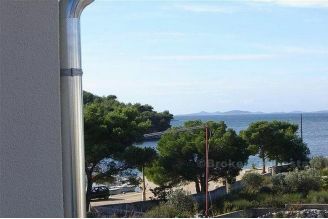 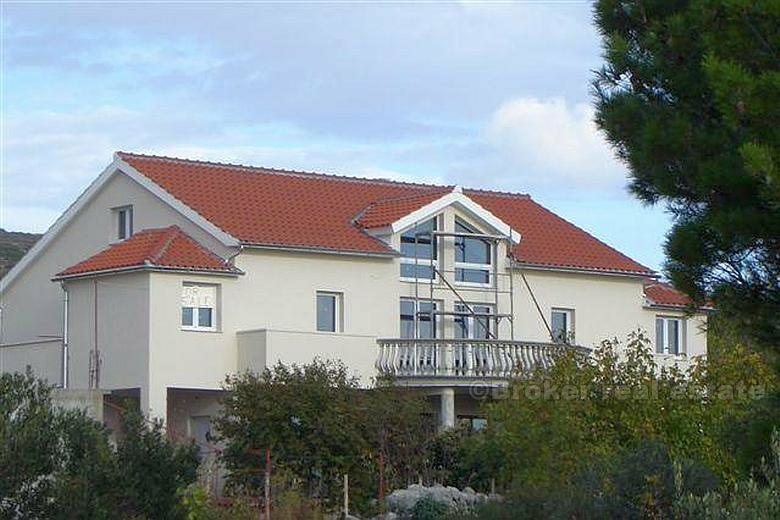 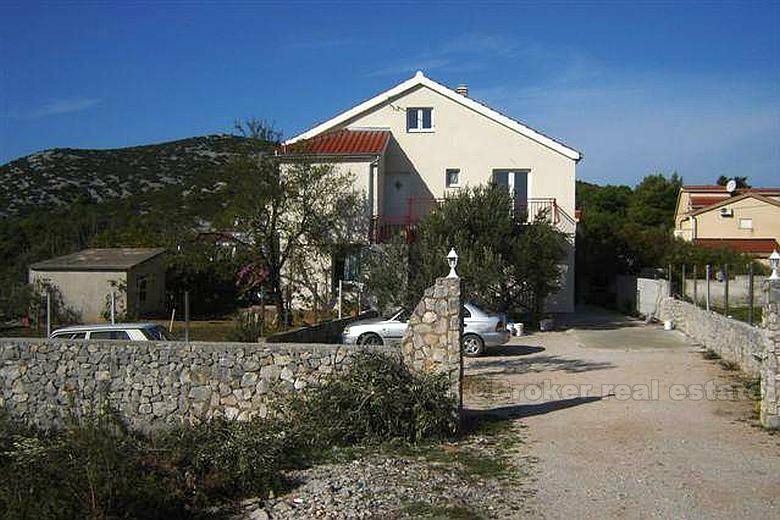 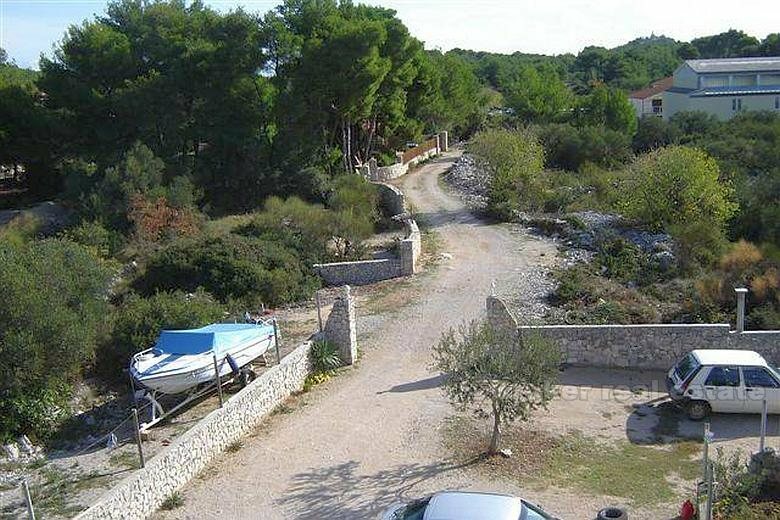 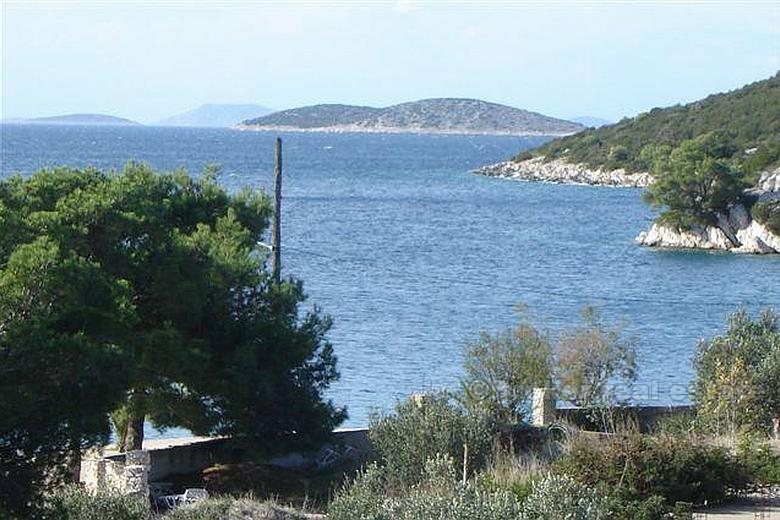 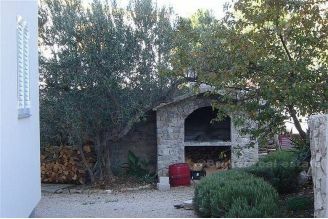 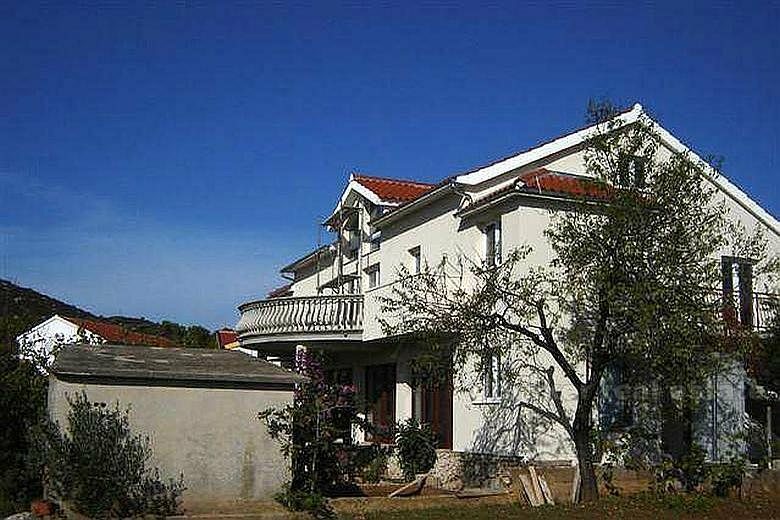 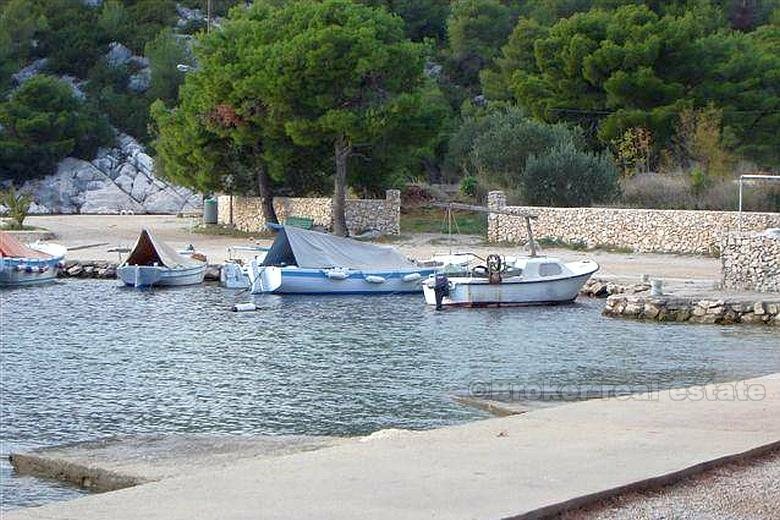 A family villa situated in the 1st row to the sea, in a bay of a small fishermen village, only 3 km from Vodice. The house is of the surface of 500 sqm and situated on a land plot of the surface of 1050 sqm. 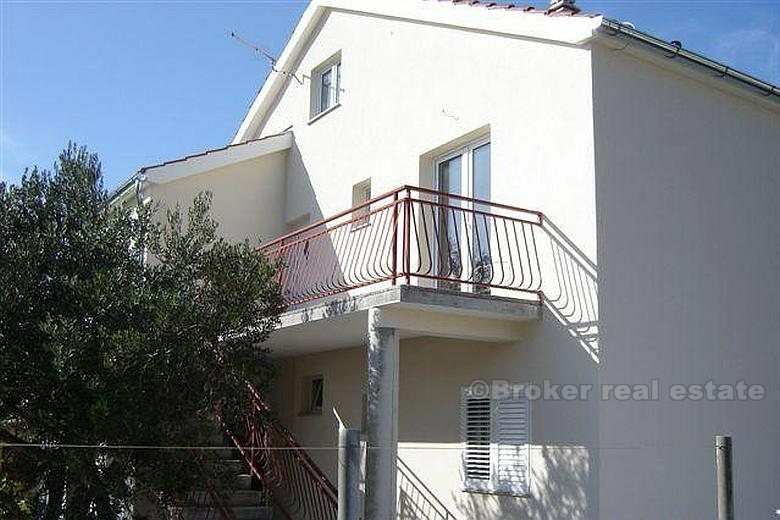 It consists of 3 storeys, on the first storey, there are 2 apartments; one is a two-bedroom apartment and the other is a three-bedroom apartment, both completely furnished. 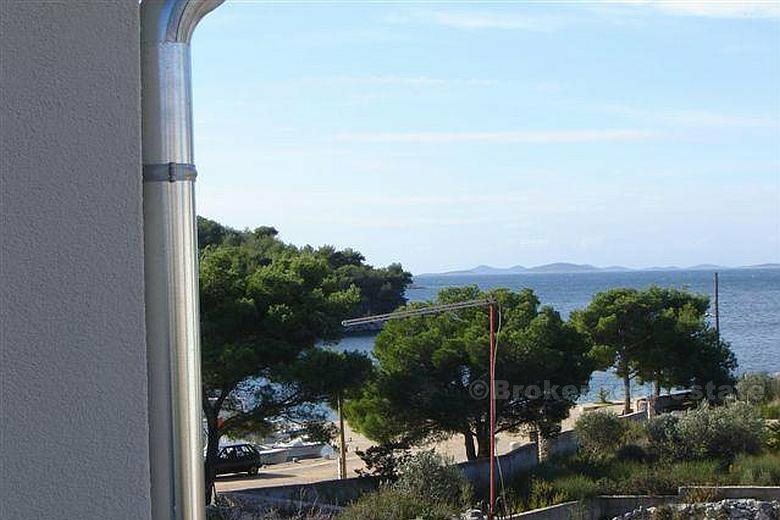 the interior of the 1st floor is not completely finished (high-level roh-bau) and it is planed for a penthouse apartment or for two separate apartments. The 1st floor consists of 2 storeys, so there are many possibilities, according the buyers wishes. The house has an entirely new façade.